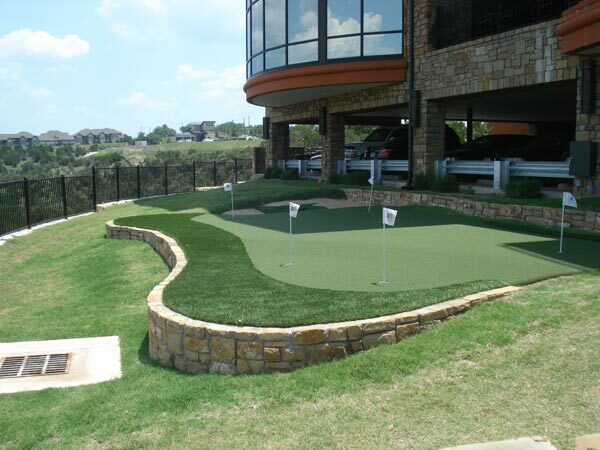 Sport Court® Houston offers golf putting greens and panel greens that are suited for players with all handicap levels. Practice your golf game from the privacy of your backyard on one of our top quality putting greens. Contact us today for a free consultation or on-site estimate. Practice your short game with a Sport Court® Houston putting green in your backyard. Whether your relationship with golf is casual or serious, no other home recreational activity will provide more hours of fun and stress relief than your very own Sport Court® Houston putting green. Click here to learn more about our putting greens. Build a panel green and leave it permanently, or move it from one location to another. Our portable, personal putting greens make it easy to practice whenever and wherever you want. Click here to learn more about our panel greens.